Belmont Mission Trip in Acuña, Mexico. Belmont students are always living out the “from here to anywhere” theme, and for several groups of students, Spring Break took them from Belmont to different places around the world. These non-traditional spring break trips gave students the opportunity to travel and serve their neighbors in different areas. Approximately 100 Belmont students, faculty and staff participated in both international mission trips and Immersion trips within the U.S. The trips gave students an opportunity to serve communities in five different countries around the world, including China, Guatemala, the Dominican Republic and Mexico as well as several cities in the U.S.
Immersion and international mission trips give students the opportunity to experience a different culture, immerse themselves in it and give back to the community. The trips are also a chance for students to live out Belmont’s mission of empowering “men and women of diverse backgrounds to engage and transform the world.” Student immersion and service ranged from building a house for a family to spending time and worshiping with people who are homeless. They were able to experience, see and live out God’s work in different parts of the world first hand. While on their trips students kept up with the Belmont community by sharing their experiences on the Belmont on Mission blog. Through the blog, students shared how God was impacting their lives through their interactions with the people they were serving and through the work they were doing. Belmont University mission trip to the Dominican Republic. Senior international business student Sean Grossnickle shared his thoughts and experiences on his international mission trip to the Dominican Republic with a group of other Belmont students. The chance to take part in Immersion and international trips sparks students passion for serving others and gives back to communities in impactful ways. 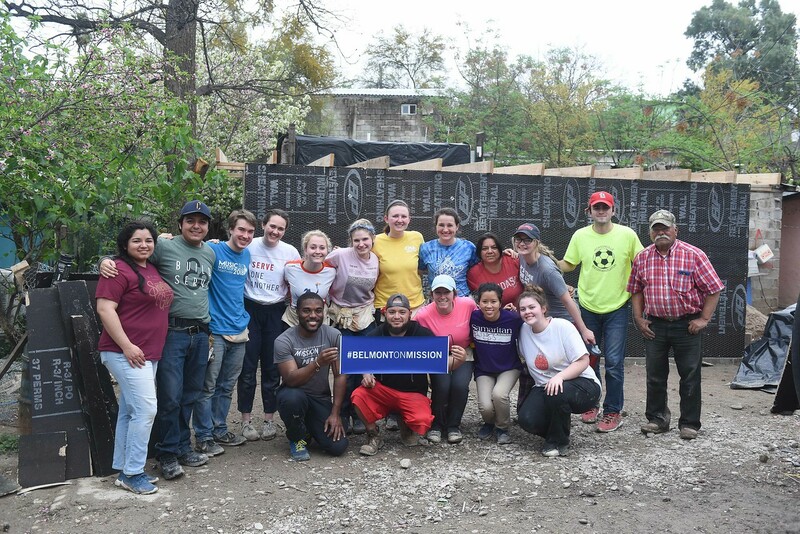 Student Hannah Rae Melis, who took part in the El Paso immersion trip, stated what it means to go on an immersion trip and how it impacted the lives of both students on the trip and the lives of the neighbors they were serving.